Two men with bandannas covering their faces allegedly invaded Ripley Road home, assaulted woman and made off with drugs in getaway car driven by woman, according to police. Charges against two local men and a woman from Howland have been upgraded to felony robbery following a masked home invasion March 23 in Cambridge. The woman, Melinda Riggs, 25, the alleged driver of the getaway car that night, was arrested Friday by Somerset County sheriff’s deputies on charges of robbery, burglary and theft. Riggs first was arrested after the home invasion on a probation hold. 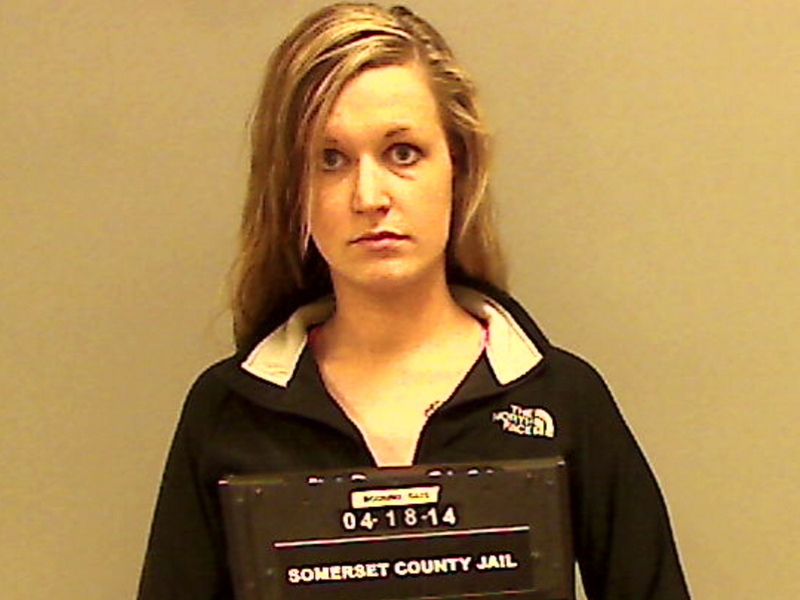 She is on probation for possession of scheduled drugs. Joshua Chase, 28, of Detroit, and Ryan Spaulding, 24, of Waterville, originally were charged with probation violations and with assault following the home invasion. They now are charged with robbery, burglary, assault and theft. Police said two men, believed to be Chase and Spaulding, covered their faces with bandannas and made their way into a home on Ripley Road through an unlocked door about 1:20 a.m. Once inside the men allegedly assaulted the 34-year-old woman who lives there when she confronted them, and they made off with prescription medication, according to Dale Lancaster, chief deputy for the Somerset County Sheriff’s Department. The woman reportedly was assaulted a second time outside the home as the men attempted to leave in the getaway car, a 2000 Nissan Maxima, allegedly driven by Riggs, Lancaster said. No weapon was shown during the home invasion, police said. The victim was taken to Sebasticook Valley Hospital in Pittsfield to be treated for facial, hand and arm injuries, Lancaster said. None of the injuries were considered to be life-threatening, he said. The getaway car was stopped 10 minutes later on Corinna Road in Dexter by the Dexter Police Department during a routine drunken driving roadblock. Police got a search warrant for the three people and the impounded car, taking it to the Somerset County Sheriff’s Department in East Madison. Police said they seized pills, drug related paraphernalia, blood and DNA evidence, clothing and footwear. Riggs is being held without bail at the Somerset County Jail. Spaulding is on probation for robbery and Chase is on probation for domestic assault with priors, according to Lancaster. Both men are being held at the Somerset County Jail.